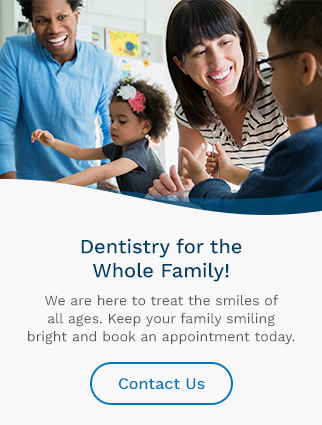 At Harbourside Dental in North Sydney, our dental services introduce your children to proper dental care at an early age to support the development of healthy habits. Along with regular maintenance of flossing and brushing, we recommend that even our youngest patients visit us once every six months to ensure their teeth and gums are healthy. We will also ensure that parents and children alike are informed about proper brushing and flossing techniques. We offer composite fillings which are a durable and unnoticeable option for fixing dental cavities. Composite fillings are recommended for children as they can fill in small, delicate areas of decay and provide a durable surface for patients who experience low pressure when chewing. They are typically made of powdered glass and acrylic resin, and can be shaded to match the colour of existing teeth, providing a seamless, natural look. Composite fillings are compatible with sealants, and they easily adhere to the tooth structure. Your dentist will advise on which type of filling is best suited for your child. Primary teeth, also known as baby teeth, help guide the growth of permanent (adult) teeth. If a baby tooth falls out too early due to decay or trauma, space maintainers can be used to prevent space loss and guide the adult teeth as they grow in. Space maintainers are made of metal or plastic and are customized to fit your child’s mouth. They hold open the empty space left by a lost tooth and steady the remaining teeth, preventing movement until the permanent tooth takes its natural position. It is more affordable to keep teeth in their normal positions with a space maintainer than to move them back in place with orthodontic treatment. If you have questions about your children's oral health, please feel free to contact our office!